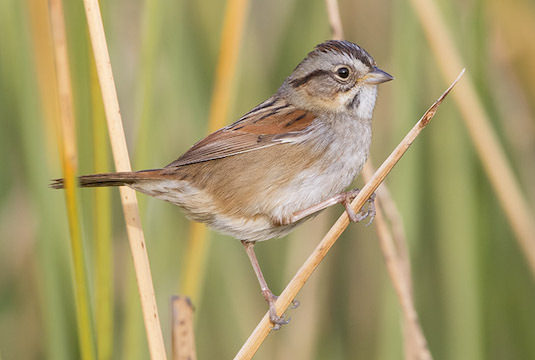 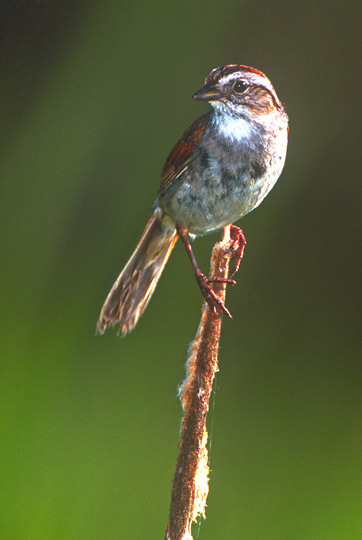 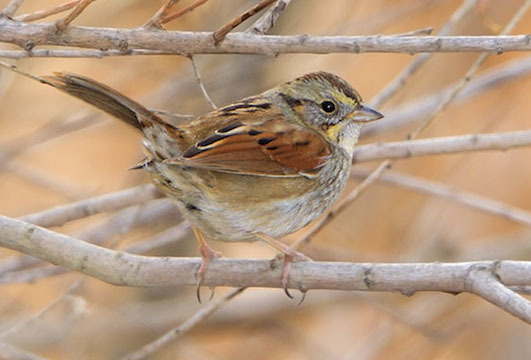 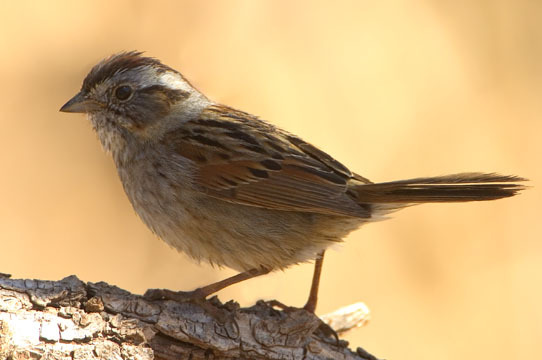 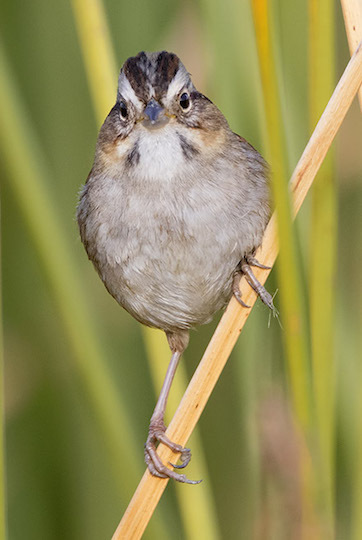 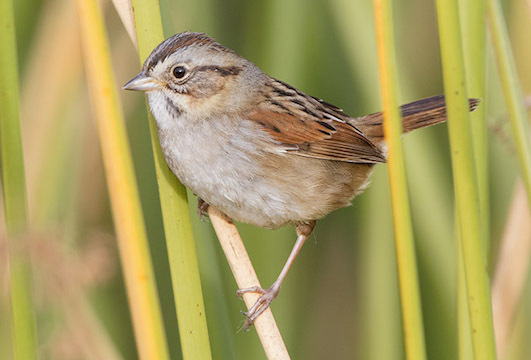 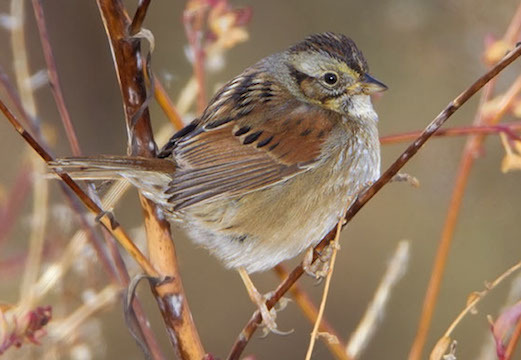 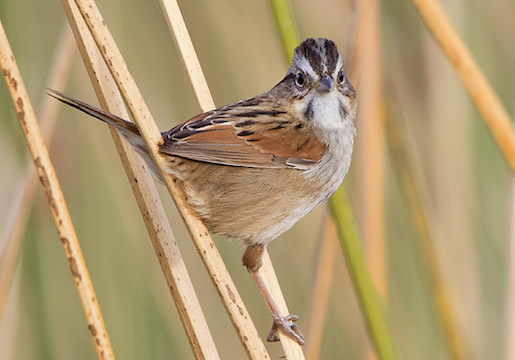 Swamp sparrows are common inhabitants of swamps, marshes, and other wet places across much of North America. 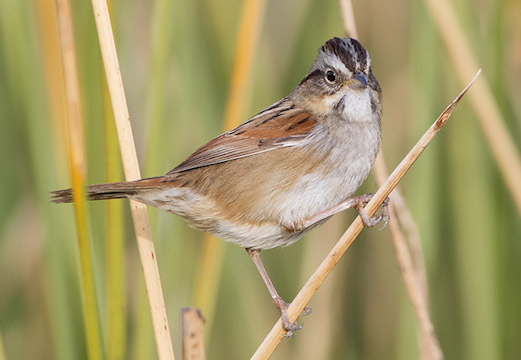 One of these birds (on the cattail) was breeding in a marsh in Riding Mountain National Park, Manitoba; the others were wintering in southeastern Arizona or San Jacinto Wildlife Area in southern California. 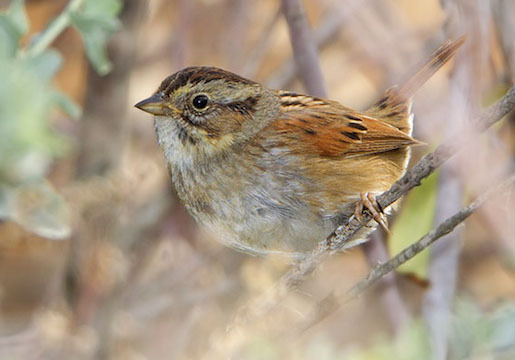 Most were in thick brush and didn't permit close approach, but one was fairly acommodating.